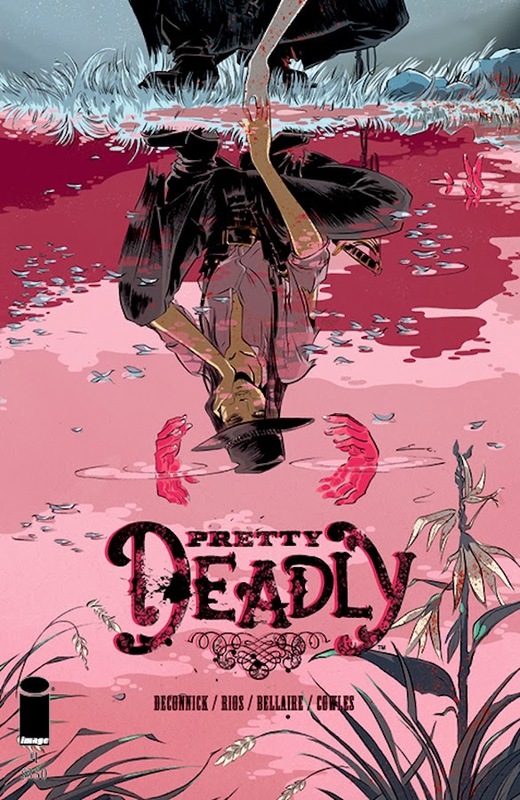 The Fellowship was fortunate enough to obtain a copy of PRETTY DEADLY #1 from Image Comics. Kelly Sue DeConnick writes and Emma Rios draws. It begins with the girl in the vulture cloak, and how she took something that wasn’t hers. She and Fox were travelers by trade, and told stories to fill their bellies. Fox’s blindness didn’t slow him down much. But what Sissy took was being sought by Alice, who was not above using force to get what she needed. And Death’s daughter was ready to ride. This is a highly anticipated book, and it was completely worth the wait. This first issue begins a tale that is beautiful and tragic, personal and supernatural. It’s almost poetic in its expression, and not because of the verse. The setting is Old West, but the story is as old and true as any ever told. And the art tells as much of that story as the words. This will surely go down as one of the top books of the year, especially from a critical standpoint. It’s wonderful from front to back, and I genuinely cannot wait for the next issue. Thank you, Ms. DeConnick and Ms. Rios. 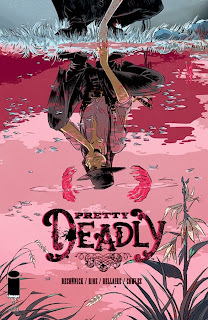 PRETTY DEADLY #1 is available now at your FLCS and online at imagecomics.com.